Last week we learned that X’s Project Wing (formerly Google) and Chipotle would soon be testing burrito-delivery drones at Virginia Tech. 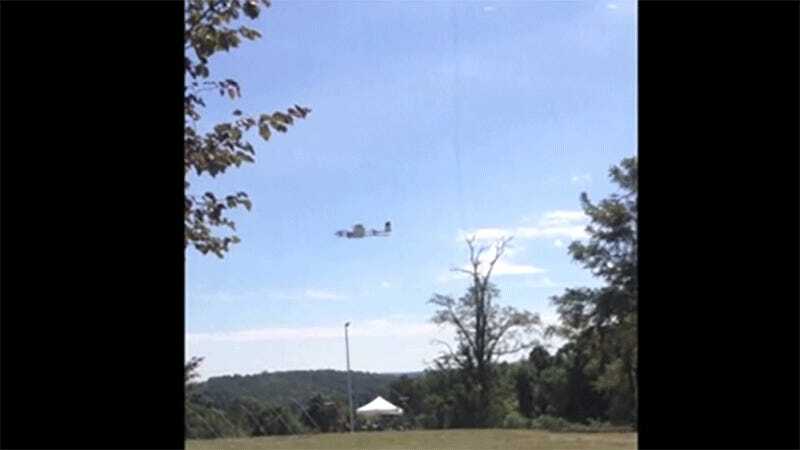 Well, the Roanoke Times has the first photos and video of what appear to be tests in nearby Blacksburg, Virginia. “I can confirm that we’ve started testing in Blacksburg,” X’s communications manager Jacquelyn Miller told me over email. But she couldn’t comment on the specifics of the video. Chipotle also confirmed over email that they were involved in the tests. 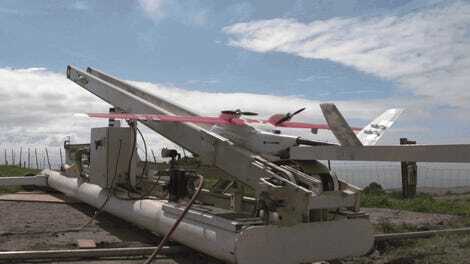 The drones certainly look similar to the ones that have been tested over the past year in Australia and have used a winch to deliver packages. But it’s hard to gauge from this distance just how many burritos you could pack into one pack. A woman with a clipboard walked over somewhat unceremoniously, cut the string and carried the package back to a staging area where test subjects watched from behind a safety net. The process was repeated about 10 times in a 30-minute span during a period on Monday. Sometimes, multiple orders were brought in at the same time on two separate drones flying near each other. We’ve also reached out to the FAA for comment. We’ll update this post when we hear back.